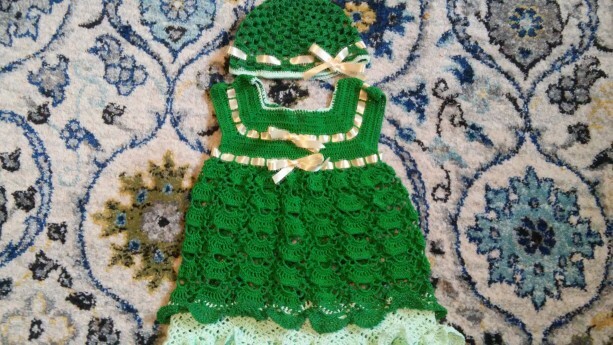 Handmade Crocheted baby girl dress and hat 3-6 months. Green color with gold ribbon. Perfect for summer. Made from 100% cotton thread (not from yarn). Dress length from top of shoulders to bottom of dress is 15 inches.